Cooking isn’t as difficult as we make it out to be. Nor is it as complicated as some overly detailed recipes lead us to believe. (I’ve actually seen a recipe that says, “Be sure to use a pan with a ¾-inch side height”. Really?! What happens if my pan has a 1-inch side height? Will my recipe be completely ruined?) The result of having too much information? We’re afraid to trust our instincts when we’re cooking. One of the questions that I’m asked almost daily is, “what do I do if I don’t have (insert some ingredient here)?” My answer is almost always, “leave it out” or “use something else”. My answer is almost never, “drive yourself crazy by going to some inconvenient or out-of-the-way store to buy it so that you can make the recipe exactly as someone else has”. (Where’s the fun in that?) Sure, cooking requires you to follow a few rules but once you learn them you should feel free to combine ingredients in a way that make sense based on your taste, budget, and pantry. So, how do you make substitutions when you’re cooking? Think about what a particular ingredient adds to the dish in terms of both taste and texture. Then, try to use a replacement that is similar. For example, if a recipe calls for tomato paste you can’t simply swap tomato sauce; you won’t have the same concentration of flavor. And, if you try adding more tomato sauce (to enhance the tomato flavor) you’ll end up with too much liquid in your finished dish. Ultimately, tomato sauce is your best option as a substitute, but you should use a larger amount than the recipe calls for and cook it in a pan over medium-low heat until it thickens first. Similarly, if a recipe tells you to deglaze the pan with red wine and you don’t have any, try grape juice with a splash of red wine or balsamic vinegar instead; you’ll have the same amount of liquid and a similar flavor profile. You can even taste the pan sauce as it reduces. If you were expecting it to be sweeter, add a tablespoon of sugar or a drizzle of honey. If you were expecting it to be more acidic, add a little bit more vinegar. The possibilities for substitutions are near endless — don’t be afraid to try things, to taste as you go, and re-adjust. Will every substitution you dream up produce a perfect result? No. But 95 percent of the time you’ll get a really delicious dish. And, 100 percent of the time, you’ll learn something that will make you a better cook. I’ve got a great recipe for you to practice on. 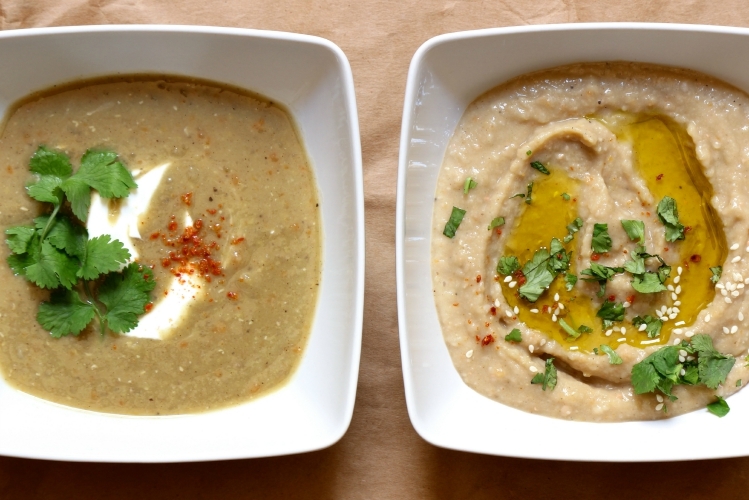 This simple mix of spices, vegetables, and lentils makes a delicious purée that can easily become the base of any number of other dishes; I used mine to make both soup and a hummus-like dip. Combine the lentils, carrot, onion, and water in a large pot. Cook at a simmer until the lentils are tender and the water has evaporated. Remove the pot from the heat, allow the lentils to cool for a few minutes, and then purée the lentils and vegetables in a food processor. Put the olive oil in a large pan and heat it over medium-high heat. Add the garlic and cook, stirring, for 1 minute being careful not to let the garlic brown. Then, add all of the spices except for the salt and pepper and cook, stirring, until fragrant, about 2 minutes. Add the lentil purée to the pan and cook, stirring, for 3 minutes. Then, season it with salt, pepper, and lemon juice. Serve the lentil purée with an entrée or use it as the base of another recipe. 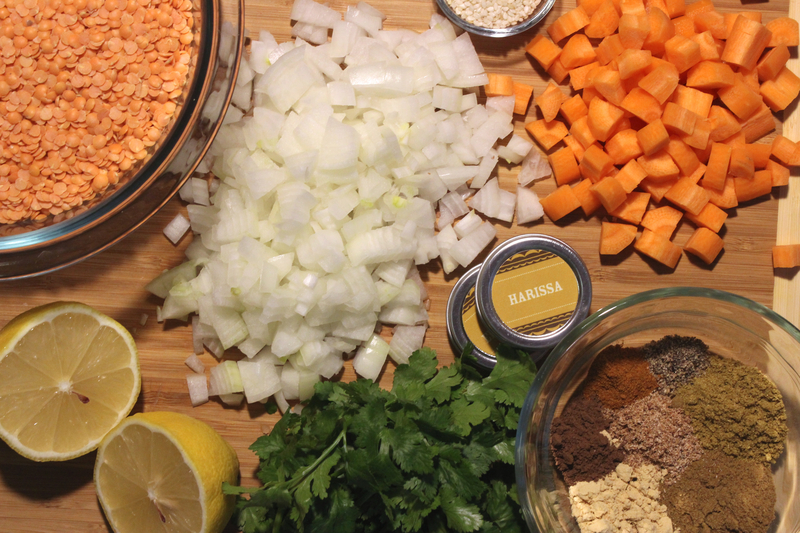 The lentils: If you don’t have red lentils, use another color (brown are very common) just be sure to keep an eye on the lentils as they cook and add more water, if necessary. Brown lentils, for example, are firmer than red lentils when fully cooked. The water: Want to add even more flavor? Cook the lentils and vegetables in stock instead of water. The spices: You don’t have to use this exact spice blend. Mix up your own custom blend using about 4 teaspoons of spices total. Put the lentil purée in a blender along with a cup of vegetable stock. Pulse until combined. Continue adding stock a cup at a time until the desired consistency is reached. Pour the soup into a saucepot and heat it over medium-high heat until warmed through. Serve the soup topped with crème fraîche, fresh chopped cilantro, and red pepper flakes. 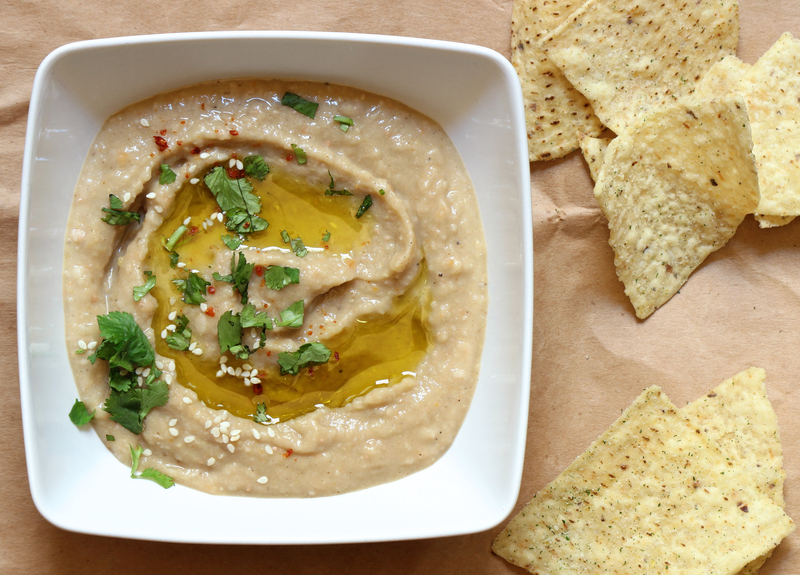 Put the lentil purée, white beans, and lemon juice into a blender. Purée until thick and smooth. Season with salt and then refrigerate until chilled. To serve the dip spread it into a shallow bowl or onto a plate. Drizzle with olive oil and top with chopped cilantro, sesame seeds, and red pepper flakes. Serve with chips or crudité. A special thanks to Marcus Samuelsson. My recipe for Basic Lentil Purée is adapted from his recipe for African Spiced Lentil Dip as printed on Food & Wine’s website.